Know where submarine cables are. Do not allow anchors to drag near submarine cables. Do not try and lift submarine cables. They are far too heavy and you do risk capsizing your vessel. 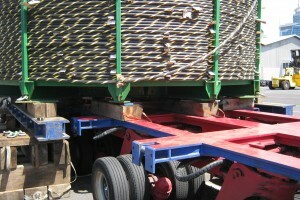 The location of cables can be found marked on official navigational charts. Before undertaking any marine operation that may impact on submarine cables like fishing or anchoring check the position of cables in relation to the vessel and its the activities. 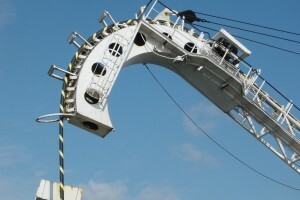 These activities are not only dangerous to the vessel but can also break or damage submarine cables impacting vital telecommunications or power networks. 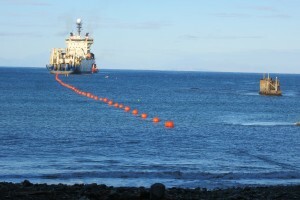 Repairs to submarine cables are costly and time consuming and will require an exclusion zone for many weeks. Snagged? What should you do? If weights are excessive and you suspect you are fast to a cable, DO NOT endanger your vessel and crew by attempting to recover your gear. Carefully plot your ship's position as accurately as possible, checking for any cables that may be close to your position. Contact should be made with your local coast guard, port authority, fishing co-operative and cable owner to advise of your situation. 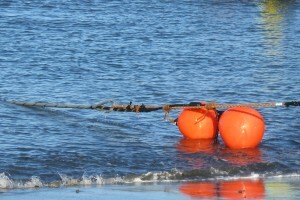 If your coast guard is not obtainable call the emergency number of the cable owner concerned and state that an incident is occurring concerning an underwater cable. If you feel you may have a claim for compensation for loss of gear you should contact the appropriate authority within 24 hours of arrival in port. Full particulars of the incident should be given and full details recorded in the official log, including the date and exact time. 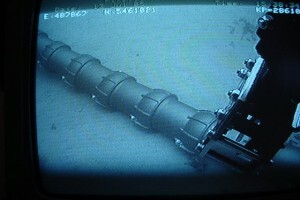 The vessel's position at the time of the incident. The depth of water and a description of the cable if sighted. In the event that you do become snagged then be prepared. Know beforehand what to do, how to do it and who to inform. 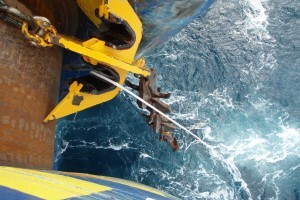 Avoid using extreme winch power and never attempt to steam away at high speed in order to jolt the obstruction free. Either of these actions will result in increased danger to crew and vessel. In most jurisdictions there may be strong laws that apply to you. If you are negligent and cause damage you may be prosecuted and face heavy penalties, but if you take all reasonable measures and you sacrifice your anchor or fishing gear to avoid damaging the cable, you may be legally eligible to be compensated for your loss. KNOW YOUR LOCATION. CATCH FISH NOT CABLES.